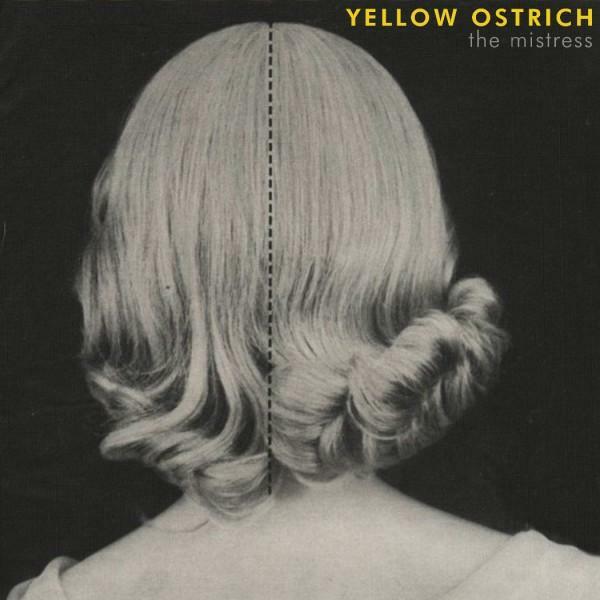 Although The Chairs, which pro­duced our favorite album of 2009, seems to have dis­band­ed, lead singer Alex Schaaf has con­tin­ued under the moniker of Yel­low Ostrich. His newest release is The Mis­tress, pos­si­bly his strangest album yet. But while it main­tains that extreme­ly dis­tinct sound of The Chairs and Yel­low Ostrich’s pre­vi­ous releas­es, the strange­ness seems to have gone just a tad over­board with The Mis­tress. There is quite a lot to com­mend on the album, but the over­all sound just isn’t very cohe­sive, and the con­fu­sion that results pre­vents it from being yet anoth­er tru­ly out­stand­ing album. Weak­est among the ele­ments of The Mis­tress are the instru­men­tals. Very lit­tle on The Mis­tress is as catchy as This Isn’t a Fire Fortress, nor is any track as emo­tion­al­ly weighty as Nine Ways. And while that’s accept­able in and of itself - The Mis­tress is allowed to be its own enti­ty - the instru­men­tals real­ly don’t have much going for them at all. Their pri­ma­ry goal seems to be to sup­port Schaaf’s vocals, and while they don’t quite devolve into repet­i­tive use­less­ness, they also don’t gen­er­al­ly add much to The Mis­tress either. That’s not to say The Mis­tress has noth­ing going for her though. As stat­ed ear­li­er, The Mis­tress is quite strange. While that doesn’t quite help the album as a whole, indi­vid­ual tracks rely heav­i­ly on its strange­ness, and the result tru­ly is quite inter­est­ing. Even though The Mis­tress sounds quite a bit like Yel­low Ostrich’s pre­vi­ous LP, it’s also very much a new devel­op­ment for Schaaf; one that may not quite be up to stuff as of yet, but one that clear­ly has quite a bit of poten­tial. And of course there are the vocals. After three excel­lent albums between The Chairs and Yel­low Ostrich, it’s no sur­prise when Alex Schaaf pulls off the vocal sec­tion of every album with a bang. Vocal­ly, The Mis­tress is no less fan­tas­tic than any of Schaaf’s ear­li­er work, and he’s done a great job using every bit of the emo­tion in his voice to give the music a depth it wouldn’t oth­er­wise have. Between that and Schaaf’s abil­i­ty to keep his voice flu­id through the self-har­mo­niz­ing of “Hate Me Soon” and “Haha­hao­hho­ho“ ‘s glee­ful melody, The Mis­tress is blessed with extreme­ly enjoy­able vocals. As usu­al, Schaaf does an excel­lent job writ­ing on The Mis­tress, with lyrics that tell simul­ta­ne­ous­ly enter­tain­ing and melo­di­ous sto­ries. There aren’t many song­writ­ers who could write a song, let alone a good one, entire­ly about a whale - but “WHALE” proves that Schaaf is cer­tain­ly among them. Between tracks like the whale’s sto­ry and the slight­ly melan­choly “Slow Pad­dle,” Schaaf even man­ages to use “Haha­hao­hho­ho” as a refrain - and on top of that, he makes it work. The lyrics of The Mis­tress aren’t only well-writ­ten, they’re well-writ­ten for Schaaf’s voice and for the music, and it cer­tain­ly shows. Even with its flaws, The Mis­tress is a strong album. It’s not the near-per­fec­tion of Schaaf’s best album with The Chairs, Nine Ways, but it’s still a decent album. Schaaf hand­i­ly com­bines all the ele­ments of The Mis­tress, quirky instru­men­tals, excel­lent voice, and always inter­est­ing lyrics, cre­at­ing a musi­cal whole that comes togeth­er quite well, despite any lapse in qual­i­ty of an indi­vid­ual sec­tion - and that, as usu­al, leaves us excit­ed to see what he’ll come up with next. This is a very thought­ful review, but I dis­agree with your over­all assess­ment. I cred­it Schaaf for tak­ing chances, and think that The Mis­tress is near­ly as good as Nine Ways. I can’t stop lis­ten­ing to it late­ly. All of that stat­ed, you do an excel­lent job with your reviews, and I’ll come back again. It’s great to read such well devel­oped and insight­ful reviews.